A new tutorial has been released on TMD-based FET. In particular, the NanoTCAD ViDES code has been further extended in order to perform simulation of transition metal dichalcogenides based transistors, as MoS2, MoSe2 etc. The evaluation version of the IDE for the NanoTCAD ViDES code has been released today. The easy-to-use IDE integrates a GUI interface to define and simulate in a simple fashion nanoscale devices, including monolayer transition metal dichalcogenides based Field Effect Transistors. As of now, the beta version is a binary file, which works for 64bit Linux operating systems and already include the NanoTCAD ViDES module (no need for additional installation). A tutorial on 2D materials will be given 27th July at IEEE Nano 2015, held in Rome [link]. The abstract of the tutorial can be found below. Within the tutorial, the potential of the NanoTCAD ViDES code for the simulation of 2D materials Field Effect Transistors will be discussed, and the new IDE with GUI will be launched. The research community has great expectations for 2D materials, since they represent one of the most promising options towards the flexible electronics revolution. However, many issues still remain unsolved, and the set of materials is very broad and poorly characterized. Therefore, simulation-based investigations are a powerful tool in order to guide and inform progress in the field. This tutorial will focus on electron devices based on 2D-materials, on the assessment of their expected performance, and on technology exploration through numerical simulations. Several devices based on 2D-materials have indeed already been proposed, fabricated, and measured in experiments. However, a lot of work is needed to evaluate their possible performance in electronic systems, and their compliance with Semiconductor Industry requirements for the next 15 years. Within this tutorial, we will first provide an overview of state-of-the-art devices based on 2D materials, ranging from digital (high-performance and low-power devices), to analog (i.e., radio frequency applications) as well as opto-electronics applications. We will then discuss the physical models suitable to describe the electrical behavior of 2D-devices (e.g., classical and quantum transport models), which will be then exploited in order to provide performance projections. Finally, we will propose some simple simulations to be run by means of the open-source NanoTCAD ViDES code. 4) Simulations of 2D-materials through the NanoTCAD ViDES code. PhD/post-doc positions are opening at the University of Pisa. The research activity will focus on the investigation of the potential of heterostructures based on Transition Metal Dichacogenides and other classical semiconductors like Silicon for opto-electronics devices. 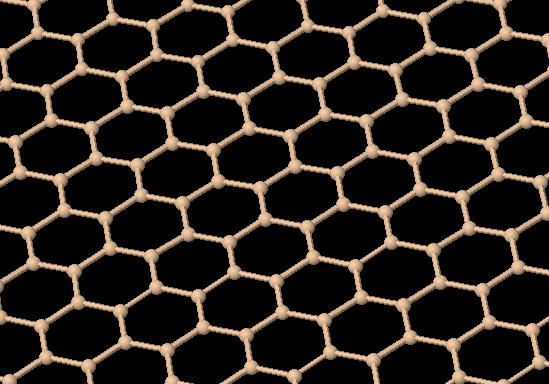 This activity will be performed within the GRAPHENE FLAGSHIP project. Potential candidates must have good programming skills (C, Fortran and Python), and good background in device physics. The activity consists in the development of a GUI for the NanoTCAD ViDES code. Potential candidates must have good programming skills (C, Fortran and Python). Good background in device physics can represent an added value. Work is estimated to be completed in 2 month full time equivalent of a skilled programmer. The activity can be performed remotely, with interaction through online collaboration tools. Payment is done as a lump sum at the end of the work. The activity consists in the development of the models describing the physics in organic photovoltaic solar cells, to be included in the device simulator NanoTCAD ViDES. In particular, the equations to be developed will include 1D Continuity equation + 1D exciton equation to be solved self-consistently with 1D Poisson equation (already implemented in the code). Work is estimated to be completed in 1 month full time equivalent of a skilled programmer. Today the new version of the code has been released. During the last week we have encountered some problems with the web server. Eventually (and hopefully!) such issues should be solved: sorry for the inconvenience.